WASHINGTON (CNS) — U.S. and Canadian bishops joined their Latin American counterparts who came to Washington to testify over the environmental and social ills wrought by extractive industries such as mining and logging. The bishops testified March 19 before the Inter-American Commission on Human Rights in a bid to heighten awareness of the degradation of land, water — and people’s lives — brought about by companies, most of them foreign-owned, taking resources from the earth to boost their profits. Bishop Roque Paloschi of Roraima, a member of the Brazilian bishops’ Amazon commission, told Catholic News Service before the hearing that “the large financial companies” must bear some of the responsibility, as they finance the operations of transnational mining and logging firms. Bishop Oscar Cantu of Las Cruces, New Mexico, chairman of the U.S. bishops’ Committee on International Justice and Peace, said he sees a link between extraction and immigration. “We cannot separate the consequences of migration from the fundamental ‘root causes’ existing in these countries,” Bishop Cantu said in a March 17 letter to Archbishop Carlos Aguiar Retes of Tlalnepantla, Colombia, president of the Latin American bishops’ council, known by its Spanish acronym as CELAM. 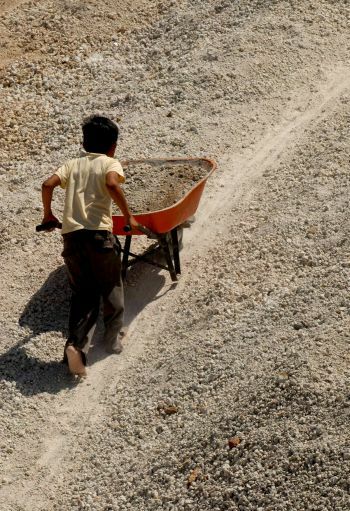 “In this regard, key policies facilitated by our trade agreements, as well as the resultant conduct of U.S. and Canadian mining companies in these countries, have too often contributed to destructive environmental and public health consequences for communities throughout Latin America,” Bishop Cantu said. CELAM and other member institutions of the Pan-Amazon Ecclesial Network, which represents bishops’ conferences, religious men and women and Catholic relief agencies throughout Latin America, had signed a petition requesting the hearing. The Inter-American Commission on Human Rights granted one hour for the group to express its concerns as part of a full day of hearings on human rights issues in the Western Hemisphere. “I think it’s the first time in our history we’ve ever had a panel full of priests,” said Rose-Marie Belle Antoine, commission chair and panel moderator. Archbishop Timothy P. Broglio of the Archdiocese for the Military Services was present at the hearing to express support as was Bishop Donald Bolen of Saskatoon, Saskatchewan, who heads the Peace and Justice Commission of the Canadian Conference of Catholic Bishops. The Canadian bishops sent their own letter of solidarity March 9 to Archbishop Aguiar and CELAM. “Mining and the extraction of other resources (are) capable of providing economic development, as well as the raw material so basic in our day to creating higher standards of living and more stable societies,” wrote Archbishop Paul-Andre Durocher of Gatineau, Quebec, president of the Canadian bishops’ conference. 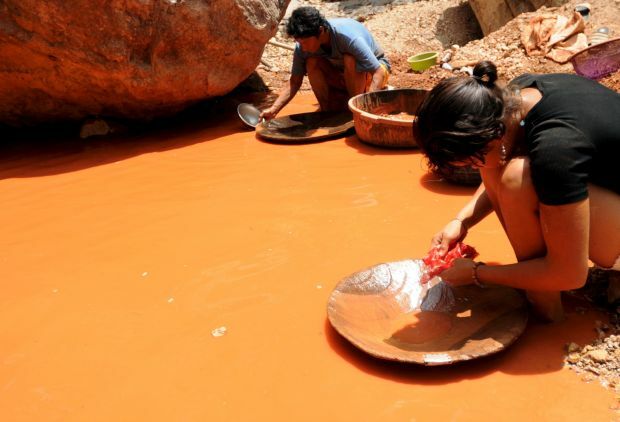 “However, that situation in Latin American has, in general, not yet produced these benefits.” He cited “weak regulatory schemes” in many countries and “numerous abuses committed in connection with various mining operations” in the Amazon basin and elsewhere. Activists, he added, would lead protests, but officials would arrest them to intimidate others. Asked how Guatemala, one of the region’s poorest countries, could improve its standard of living, Bishop Ramazzini said tourism and food exports, particularly coffee, sugar cane and bananas, could play a major role. Archbishop Pedro Barreto Jimeno of Huancayo, Peru, told CNS through an interpreter that he used to receive death threats for his activism on behalf of people living in his country’s mining districts. He added that he used to be known as “the ecological archbishop” for his advocacy. “I hated it,” Archbishop Barreto said, because it implied that his activity was merely personal. But now with Pope Francis, a fellow Latin American, running the church and speaking out on environmental issues, “we are all ecological bishops,” Archbishop Barreto said. NEXT: Pope Francis erects Diocese of Nogales, Mexico, just south of U.S.